Mad last minute shop dash? Not us! We are getting organised early this year, making our lists, checking them twice, finding out who’s naughty and… oh let’s be honest…. stuff the kids! Us Mama’s have been working hard all year! We deserve the presents! 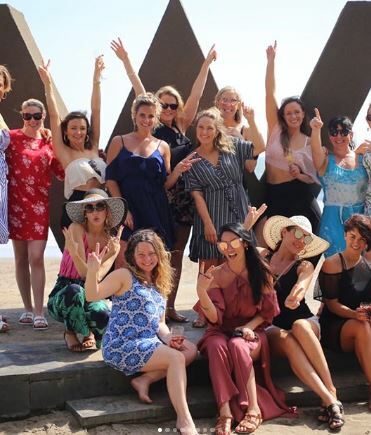 Mums, Sisters, Nana’s, Aunties, BFF’s…. Happy (forwarding this link to husbands/partners) shopping ladies! Ask any mama what she wants for Christmas and guaranteed she’ll say a shopping spree or clothes! So why not give her the chance to do both! 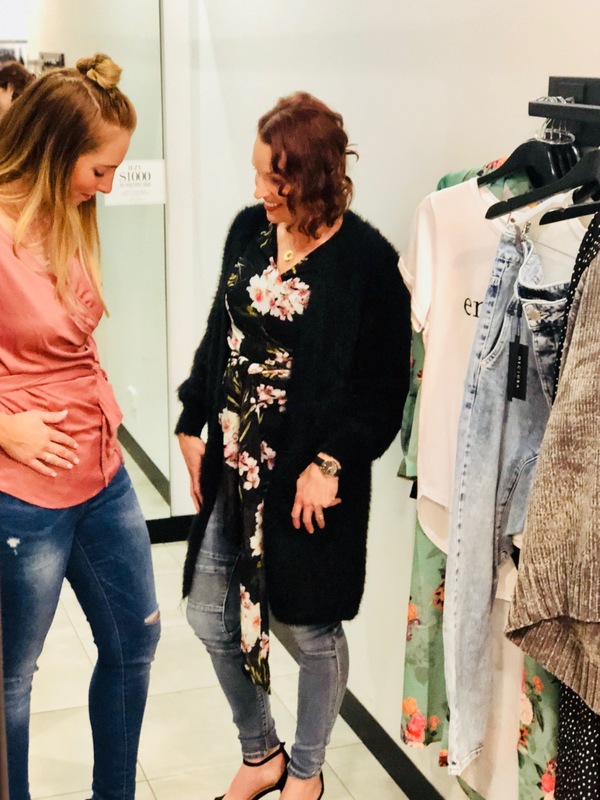 Our two fave local clothing retailers Evergreen Clothing in Mornington and Marylee Clothing in Langwarrin both offer gift vouchers so you, cough cough, we mean the mama you buy the voucher for, is sure to find the perfect outfit to make her feel good inside and out! 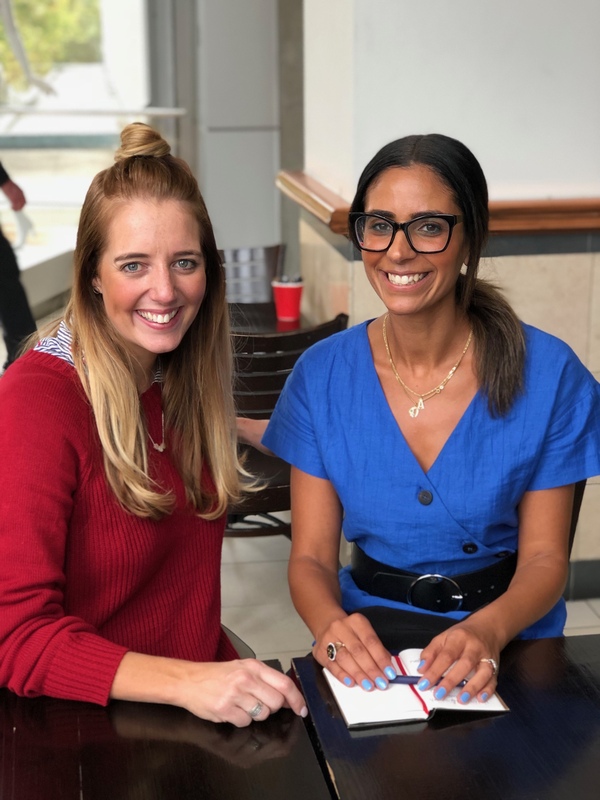 We both love buying local made jewellery which allows us to #supportsmallbiz and help support #bossladies working their creative butts off to make a living! And wow are we spoilt for choice on the Mornington Peninsula! Costume jewellery is reaching new clay heights this season, with super bright 80’s colours and funky shapes making a come back. 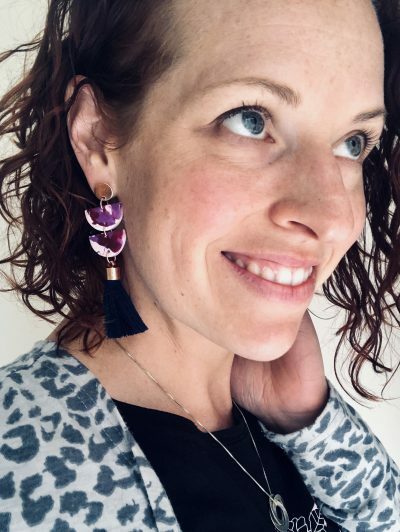 Some of our faves include Funk N Sole, Berjique Jewellery, Jewelled Creative Designs, Luminous Designs and Ninotchka Designs. Deb McNaughton is a local Melbourne based artist and lover of all things colourful. Deb’s bright and bubbly personality is reflected in the contemporary artwork she creates using acrylic, ink, watercolour, collage and digital art. 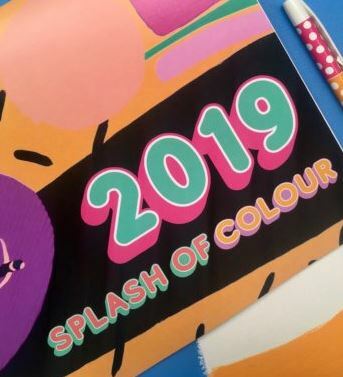 We are currently obsessing over Deb’s gorgeous scarf collection and of course, her 2019 wall calendar which can be framed after use to make a gorgeous collage in your home. 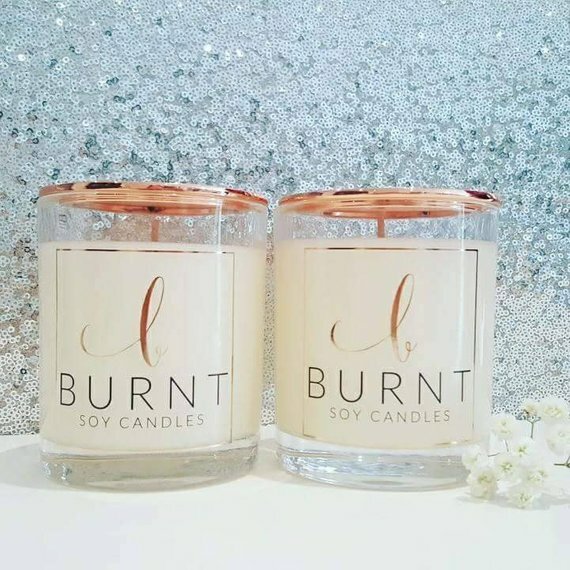 Burnt soy candles create beautiful hand poured soy wax candles and melts using premium quality soy wax and luxurious fragrances. These candles smell absolutely amazing really filling the entire house with their scent. 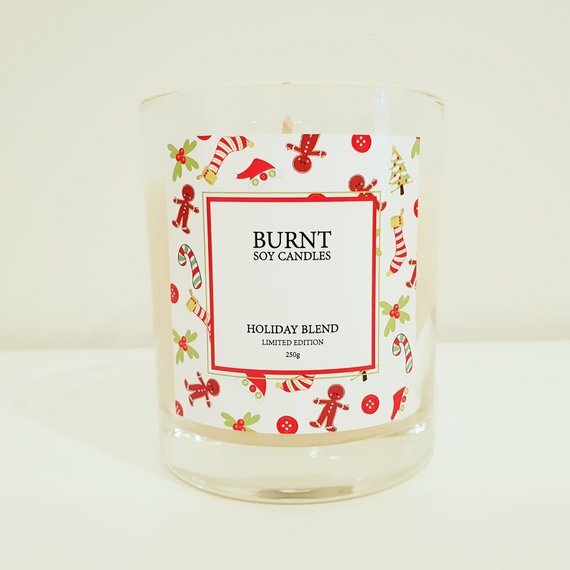 Our fave smells – Black Raspberry, Peony and Lychee and of course, the limit edition Christmas candles, think vanilla frosting, cinnamon sticks, toasted graham crackers and juicy raisin…Mmmm! Did you know PARC has a wellness centre? Well you do now! There are heaps of gorgeous treatments to choose from like facials, massages, skin therapy and manicures… Bliss! 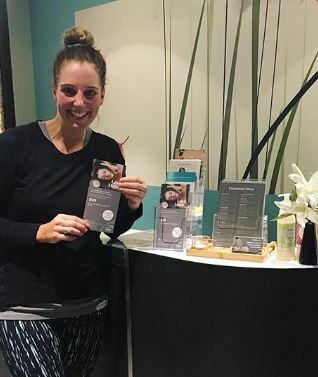 The Wellness Centre is open to members of the public and not just members of the gym so this is perfect for a mama who deserves some indulgent R&R. We are absolutely spoilt for choice when it comes to day spas on the Peninsula. Some of our other faves include Peninsula Medi Spa, Guava Hair Body, Endota and of course Brazillian Butterfly in Frankston for all our brow and lash needs! 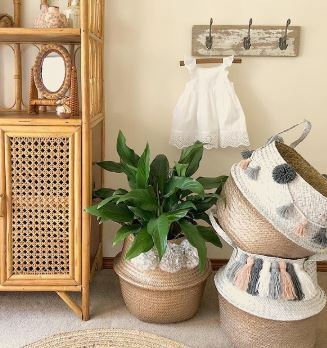 Featuring glamorous boho inspired decor and accessories, Dream Big Sisters have the most beautiful products, all unique to one another, perfect to style your home. 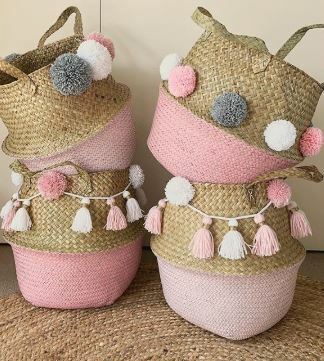 There’s wreaths and wall hangings, dream catchers and natural seagrass foldable baskets featuring spray painted bases and decorative, plush pompoms attached to cotton cord around the rim of the basket. 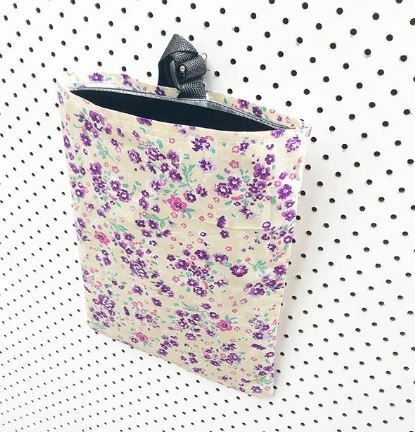 These products would look amazing as a feature in your bedroom. We decided to include this special gift idea in our guide because we have both had styling sessions and to be honest, we not only had an absolute blast with the stylists but we walked away with lifelong knowledge about how to dress for our body shapes, how to have fun with clothes and trends and how to feel like the old us again! We highly recommend a styling session for a very special lady in your life (wife, sister, mum) who may need a pick me up or a wardrobe audit! 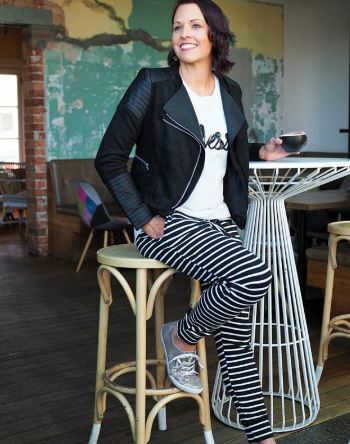 Our fave local stylists gals are Anne – Style Joy and Kim Kennedy Personal Stylist. Besides the car seats, you can tell you’re driving a mum mobile by the amount of rubbish that somehow manages to pile up in the back seats, on the floor, shoved into the pockets at the back seats, in the glove compartment, you name it, they’ll find a place to throw/stash/smear it! Enter Luxebins! 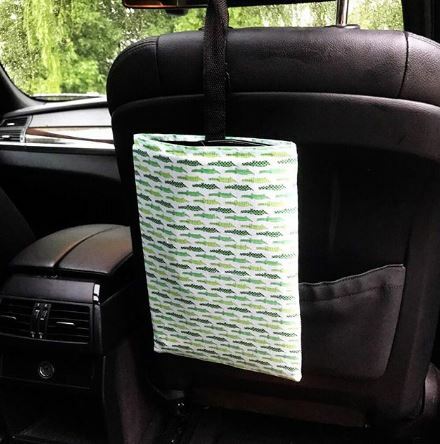 These handmade stylish and functional bins for your car, have a tub lined with a plastic bag inside each one and they come in the fabric of your choice. A great gift for a KK present, for a teacher or for your mama friends! 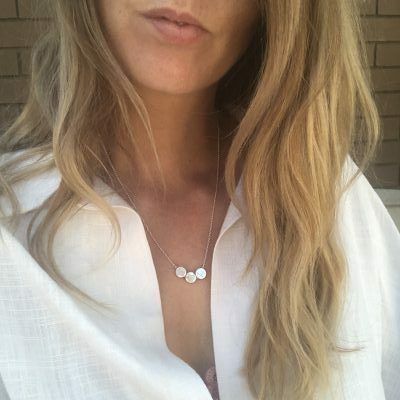 We love, love, love local Mornington Peninsula handmade products especially those that incorporate our beautiful landscape and seaside living. 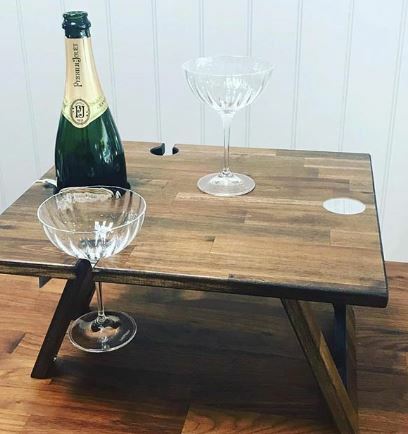 Inditribe have created these stunning Folding Wine Tables which are fast becoming a must have item in Summer and all year round! 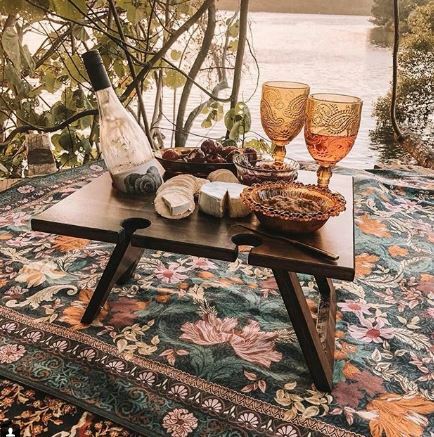 Whether you love picnic’s on the beach or at the park, camping, boating or just love to sit on the deck in your own backyard, these gorgeous tables make the setting perfect. Basically what a RACV membership is for your car, a Mums Who Wine Membership is what a mum needs for her sanity! 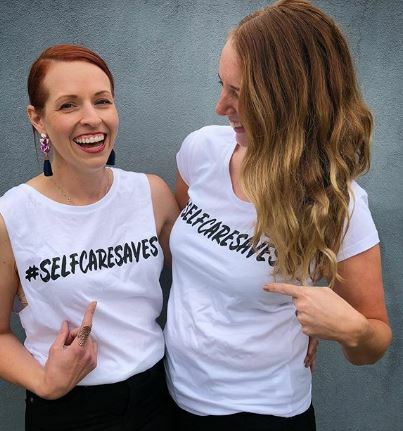 An exclusive VIP Benefit program, the membership gives you access/discounts/invites to over 200 affiliate companies including cafes, restaurants, health and beauty salons, accommodation and wineries nation wide! You can also break down the affiliates into regions so for us Morn Pen girls, there’s plenty of local discounts we can sink our teeth into… literally… like cake… yum. 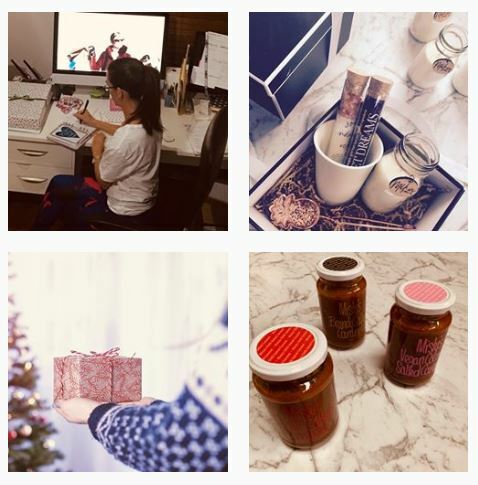 And if you still can’t figure out what to purchase that special person in your life then you can contact Laura – a gift hunter, a shopping ninja, a gangster wrapper and the person who is going to make your life so much easier and stress free when it comes to gifting! 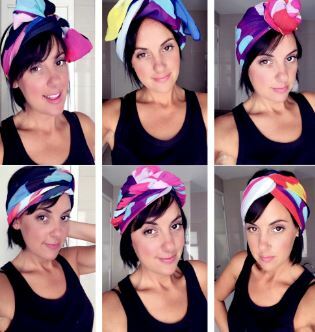 Fill our Laura’s questionaire about who you are buying for, she will then present three options for you to choose from and then she purchases and wraps for you! Love it! Perfect for busy mamas, clueless hubbies and corporates wanting treat their clients.